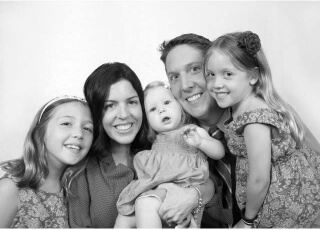 Since 2006, Dr. Aaron Sanders has delivered high-quality chiropractic care to hundreds of Erie families wishing to eliminate their pain and optimize their health potential. At Sanders Chiropractic Care, we see everyone from weekend warriors and active seniors, to hard-working parents and their children. We provide the very best in customized chiropractic care, with a particular emphasis on the benefits of physical medicine/rehabilitation and spinal decompression. New York Chiropractic College subsequently accepted him as a student, an institution he chose because of their high standards in evidence-based chiropractic. 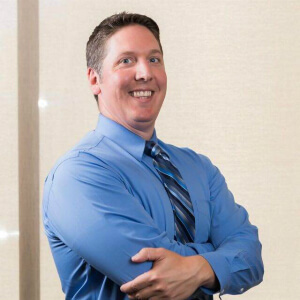 Their multidisciplinary approach complemented his extensive background in physical medicine, and he received his doctorate as a board-certified chiropractor in 2004. Dr. Sanders has earned postgraduate recognition as a Certified Strength and Conditioning Specialist (CSCS) through the National Strength and Conditioning Association (NSCA). The NSCA is the leading authority in strength and conditioning research, and Dr. Sanders complements his chiropractic expertise with his training in this area of health optimization. Family and community are also paramount to Dr. Sanders. He and his wife, Kim, have three daughters that keep them very busy with outdoor activities, sports events and church participation. We’d love to have you join our happy chiropractic family. We’re very accommodating, providing Saturday appointments and late hours. Contact us today!